Solar nails are a specific brand of acrylic nails manufactured by Creative Nail Design (CND). They were first introduced back in the 70s and have now become a popular option at nail salons. Since solar nails have become more mainstream in recent years, there has been hype, but there are also drawbacks to consider. People sometimes believe that they're getting a new type of artificial nails with solar nails, but this is not the case. They're essentially artificial nails, like acrylics, but they are applied differently. Solar nails are applied directly onto the nail, while acrylics need fake nail extensions. Solars are known as 'pink and whites' or permanent French nails, because they're clear or white in appearance, with a white tip to resemble a French manicure. Acrylics, on the other hand, come in a range of different designs and colors. Solar nails are a lovely option to consider the next time you visit a salon. There are several pros when it comes to this type of artificial nail. Durability: Solar nails are renowned for their enhanced strength and durability compared to standard acrylics. Solars work by being embedded into your natural nails, which prolongs their luster. They're tough and very unlikely to break. 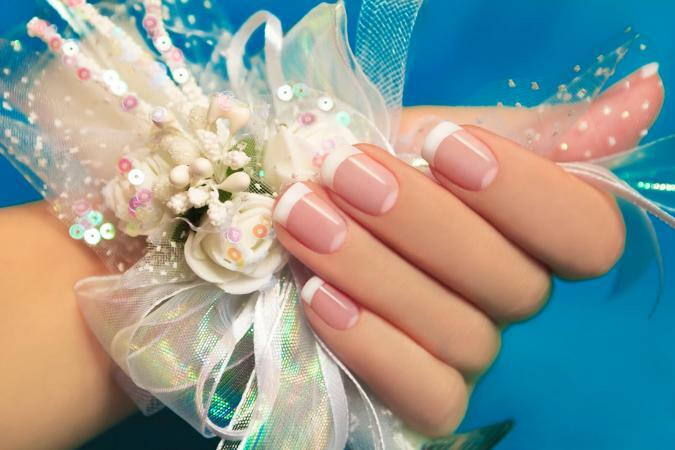 Beautiful design: Another pro is that solar nails have a simplistic yet beautiful French manicure design. They're ideal for every occasion, as they go with any color or style of outfit. They're undeniably feminine, elegant, and naturally attract compliments. Easy maintenance: They're easier to maintain than acrylics, as solar nails just need to be filled-in at the salon every three weeks. Acrylics require maintenance every two weeks. Tanning allowed: People with acrylics are instructed to avoid visiting a tanning salon, as UV exposure can cause damage to artificial nails and turn them yellow. This is not an issue with solar nails. There are a lot of pros when it comes to solar nails, but there are also some negative factors to consider. Weigh the facts and make an informed decision. No design options: You're limited with the design when it comes to solar nails compared to acrylics. If you're not a fan of the French manicure look, then these nails definitely won't work for you. Application residue: Sometimes applying solar nails can leave a residue from the sealant used. You'll be given special soap and a brush at your nail salon to remove it, but it still tends to linger for a few hours. Visible signs of wear: After you've had solar nails for about three weeks, there will be clear spots visible on the edges from where they're lifting up from your natural nail. That's when you need to go to the salon for a fill-in or to have them removed. Do-it-yourself removal is also possible. Solar and acrylic nails can be easily mixed up. Even though solar nails are a type of acrylic, there are fundamental differences between the two artificial nail options. Solar nails are perfect for those who want a gorgeous, French manicure design that is higher in quality and more straightforward to maintain than acrylics. However, some salons may use low-quality dupes instead of the certified CND nails. Visit a salon you trust and be sure to specify that you'd like CND solar nails. Otherwise, they might apply a cheaper alternative that weakens your natural nails.